Creating hype also creates hindrance if you're not careful - treat art like art. "I’ve just got back from Las Vegas seeing the eighth wonder of the world: Britney Spears." Kev O’Sullivan, creative director at FleishmanHillard Fishburn kicked off his colourful keynote at the Branded Film Festival last week with a colourful story. He described the sights and the sounds of a mega-star marketing campaign. "In the lead up to seeing Britney Spears on stage... you know she’s in Vegas. There are billboards everywhere, video screens, every store is playing songs, every radio station plays soundbites. It is Britney Town. The whole experience was like an aphrodisiac to that climatic moment on stage. "And in that instance, the hype really, really led into that bombastic Britney experience." But, says O’Sullivan, what works for Britney and The Spears Experience doesn’t work for everything. "If hype works for Britney Spears, why doesn’t it work for the classic brand film? [Most] brand films are tapping into very subtle, sensitive emotions. Hype can have a really negative effect." And that is because of our brains, he explained. We get excited when we hear something great is coming our way, we get a natural high – you can’t wait to see the new John Lewis ad: "But if the hype has generated all that dopamine and anticipation, the film you’re about to watch better be bloody good. "The brand films that come with anticipation are at a disadvantage. If they don’t meet people’s expectations, they’ll be taking to Twitter to complain about them... and potentially shopping elsewhere. "So my answer to whether these films need PR is that we should be fighting hard to maintain their artistic integrity." 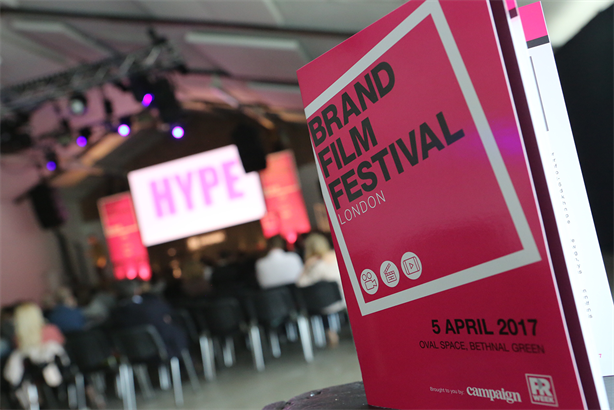 O’Sullivan argued that the highly crafted branded film needs to be treated like a piece of art not simply another component in a marketing campaign; you have to generate the right level of hype, so you don’t disappoint your viewers. "Don’t PR The films. If you are going to – be very careful. Treat them like your beloved children. Think: how do I want them to be enjoyed in the world? Sometimes you’ll see films cut up and shoved on big screens. You wouldn’t do that with Gone with the Wind or Citizen Kane. Why do it with marketing material? "If you’re promoting a brand film and trying to create interesting conversation, make sure the way you use other channels is as artistic and imaginative as the films themselves. With your client you need to identify the distinction between promoting the stories and connecting with the right audiences. Be focussed and sharp with how you use your channels. Don’t treat it in the same way as a PR stunt. O’Sullivan ended with a suggestion that brand films hold something unique: "They can tap certain emotions, sentiments, that other marketing devices can’t. Keep that artistic integrity and keep the PRs away from making it loud and obnoxious."